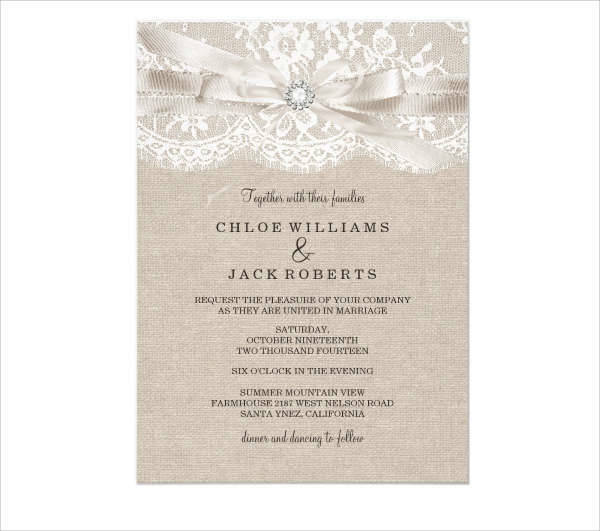 Many modern brides are now opting for vintage chic weddings making vintage wedding invitations a necessity. The invitations go a long way in complementing the retro theme and adding a romantic touch to the wedding celebrations. 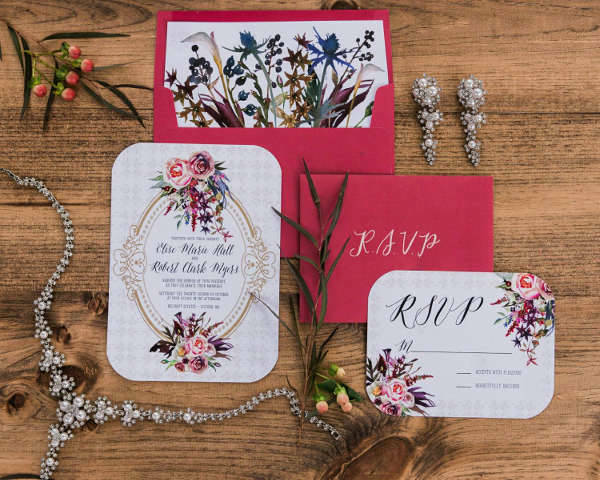 These invitation designs make use of rich colors, text, and font to make the invitation process as meaningful as the wedding itself. You can customize them to according to your preference so that you remind family and friends of past eras. Here are 10 easy to personalize vintage wedding invitations. 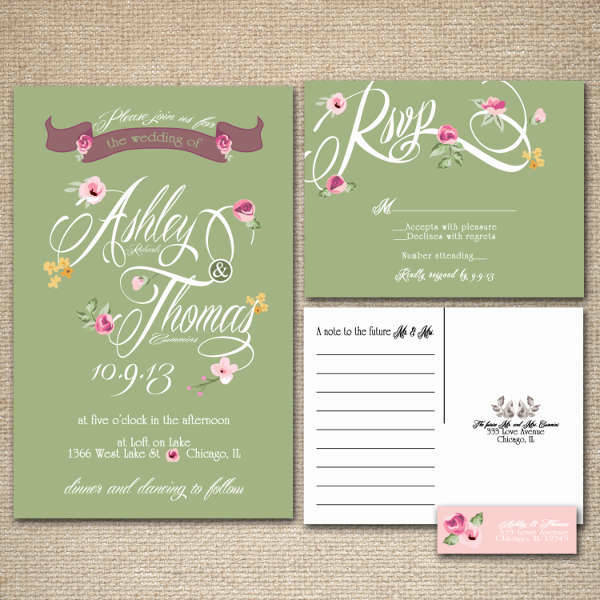 Floral vintage wedding invitations with pink color show a feminine and romantic look of the wedding. When you opt for a card that combines pink with other colors such as green you showcase your unique wedding style. These invitations come with RSVP postcards and return address section. 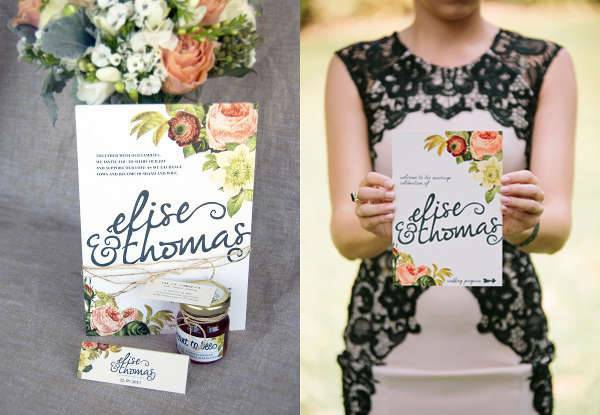 Do you want your wedding invitation to look special? 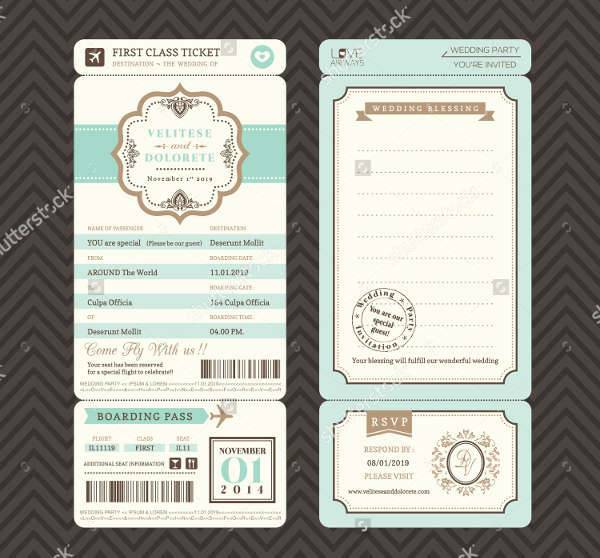 Then opt for one of these vintage wedding lace invitations that allow you to add photos and text on all sides of the card. You get to choose from 12 unique paper styles and two shape options. Incorporate aristocratic grace to your invitations by choosing these Diy vintage wedding invitations. They feature a floral design which is perfect for summer, spring, beach weddings or wedding done in exotic places such as Hawaii. You can use the floral pattern as a focal piece or subtle background. 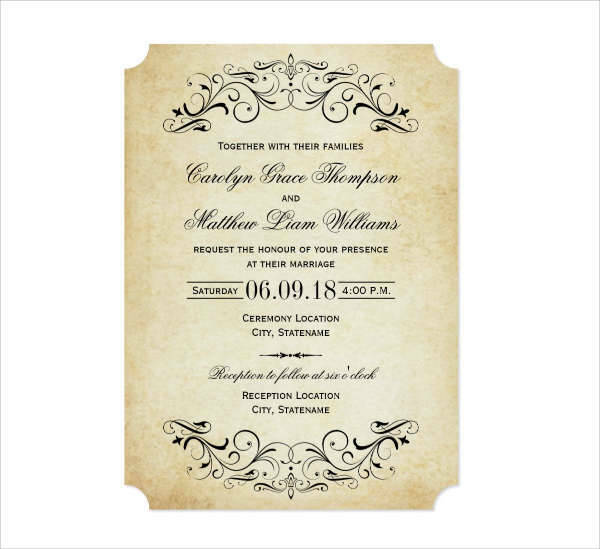 Avoid compromising on quality by opting for this well-designed vintage postcard wedding invitations. 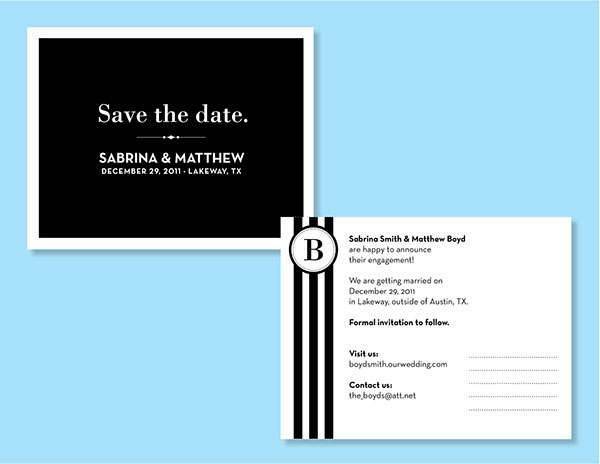 It comes in black and white colors which add a classic look to the invitation and compliment any other colors in the wedding theme. This design is ideal for couples who want to combine old style with modern designs. If you want cards that make wedding announcements in an extraordinary way then these rustic vintage wedding invitations are perfect for you. The cards are flat and in a 5 x 7-inch size. 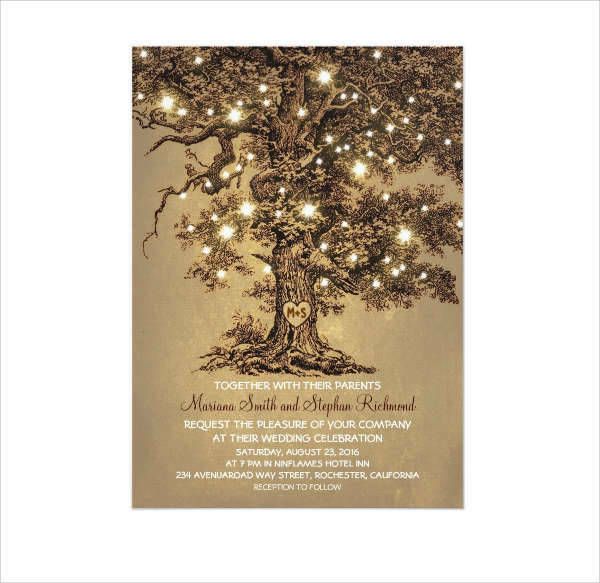 These invitations features rustic twinkling lights woven around an old oak tree and a love heart symbol with initials. These wedding invitations will make the wedding planning process a bit easier as they are print ready. The come in beautiful watercolor floral with delicate touches around deep hues. The gold adds a royalty effect to the designs. These cards are suitable for vintage inspired weddings. 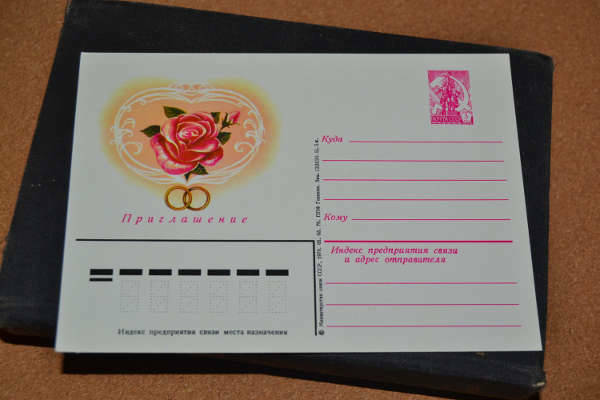 These black vintage wedding invitations are perfect for a bride or groom who is a Russian descendant. They can do double functions as collectible pieces and wedding invitation cards. These cards are inspired by the 1970s style which is great for vintage weddings. 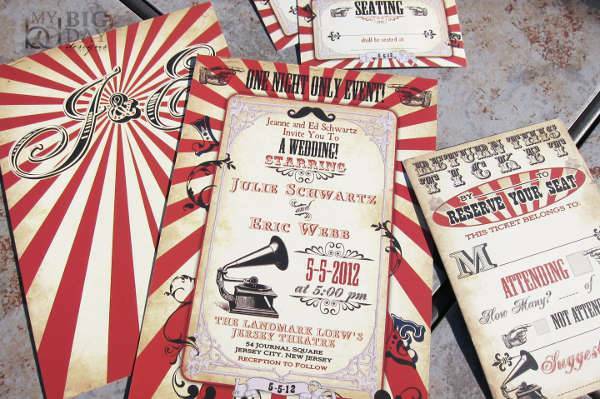 For couples who want a different look, these carnival wedding invitations are for you. They are suitable for weddings with a circus or wild animal theme. You get to customize your invitation by choosing colors, text, and fonts. You can even get a second insert to use as thank you card. A vintage wedding will feel and look incomplete without vintage invitations. These wedding invitations are professionally made and have a high-quality layout to ensure your day is, even more, special and memorable. With any of these invitations, you remind those attending of bygone eras and showcase the richness and uniqueness of your wedding.